Anyone who has worked on the debt advice front line knows that supporting individuals in vulnerable circumstances can be a huge challenge. Many are trying to cope with difficult situations and limited resources. Changes in employment status, health issues and other life events can suddenly put someone in a vulnerable situation, either temporarily or for a longer duration. They might be distressed, worried or finding it hard to cope – and at the point of seeking advice, receiving the right support, sensitive to their situation is crucial.  In my ten years in the debt advice sector, on the front line and as a trainer and consultant, I have never met an adviser who doesn’t want to do everything it takes to provide the best advice to all of their clients. But not all advisers have received the training or support they need to ensure the best outcomes for clients in vulnerable situations. For example, a survey from the Money and Mental Health Policy Institute recently highlighted the need for advice agencies, as well as creditors, to improve the way they advised clients with mental health problems. Its survey covered both the fee-charging and free advice sector, and found that 41 per cent did not ask questions about how their mental health problems were affecting their financial situations. More than a third of clients (35 per cent) did not feel their circumstances were taken into account. So while the will is there, advisers need support to better help their clients in vulnerable circumstances. Here at the Trust we have been putting our minds to how we can help. Colin Trend has recently blogged on the Trust’s new 12 steps for advice agencies on vulnerability – authored by Colin and Chris Fitch – and alongside this we have been developing a new Wiseradviser course to complement this work. The new two-part course – which we’ve called Understanding and supporting clients in vulnerable circumstances – is designed to help advisers develop their knowledge and confidence in this area. Part one is an e-learning module that takes an hour to complete (and a prerequisite to part two, a one day workshop). 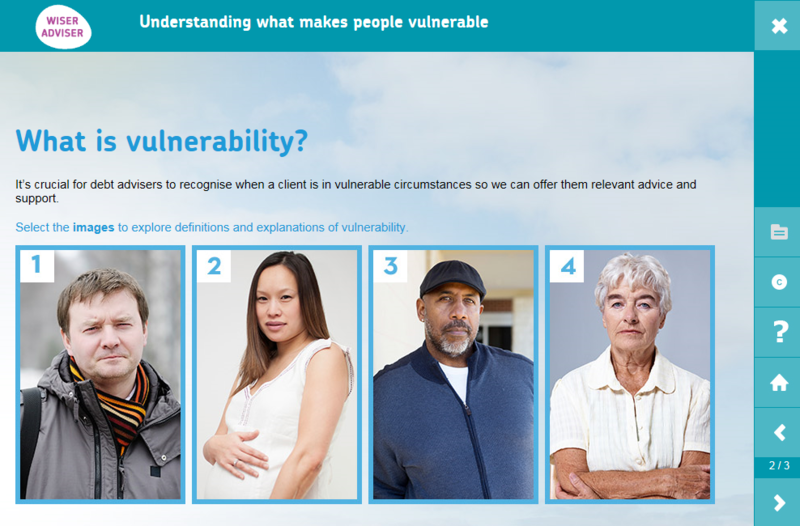 A mix of real life situations, examples and questions help advisers get to grips with important terms, current legislation and guidelines around vulnerability – including identifying which clients are vulnerable. Part two is a face-to-face workshop in which advisers can practice and discuss their new knowledge and skills, as well as share existing best practice and experience. By understanding their client’s unique circumstances they can help to build their confidence and improve their situation. Advisers can also explore some of the more difficult aspects of supporting clients, for example those who are experiencing financial abuse. We really hope the new course will prove useful as advice agencies grapple with the huge challenge of ensuring the best experience and outcomes for their clients in vulnerable situations. Advisers can find out more about the course on the Wiseradviser website – and we would be really interested to hear feedback on the course as we continue to develop and improve it.